When you are small fantasy can be a fun thing. I was never allowed to indulge in Disney as a child, I wasn’t allowed to watch children’s TV either. My curiosity for the two things hit big time when I was about 8 and became exposed to barbies and the rest. I loved them. I never intentionally set out to be all “I never had it, so my kids will” but Eliza gravitated towards pink and extremely girly toys from a very young age and yes, we totally indulged in her desires, growing the fascination. I never had any desires to visit Disney, nothing. 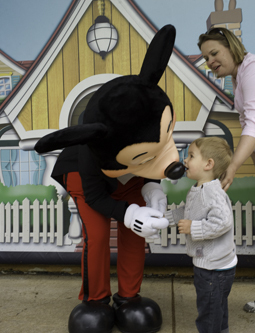 I love theme parks but I didn’t feel the urge to see Mickey Mouse or anyone else. Until I had kids and we got caught up in all the princess’s and Pirates. So with this in mind and us missing our family holiday this year, and now with moving house, Jerry will no doubt not be getting his party. 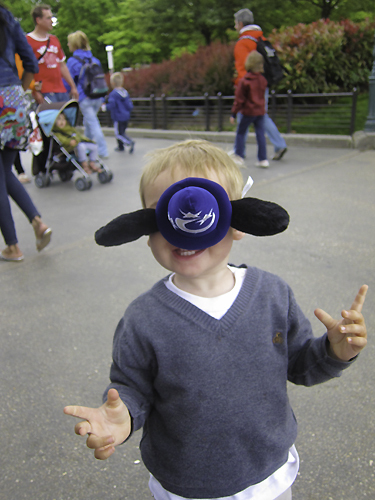 So a family visit to Disneyland it was. 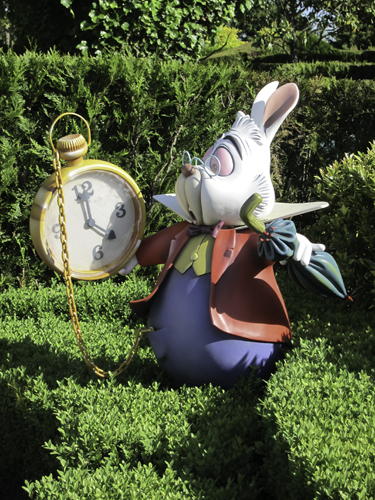 When you stay at a Disneyland Hotel you get access to the Parks from 8am, normal time for the rest of the world is 10am. 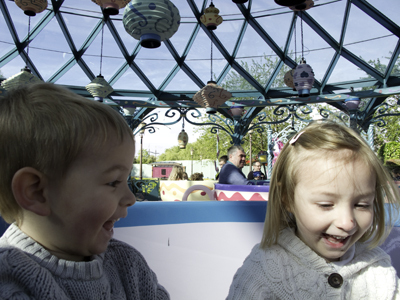 Lots of things are open for small children such as the Carousel and the Tea cups and the “It’s a small world” ride. Just because you are in there at 8am don’t think it’s quiet, there are thousands of people. I am not even joking. The best thing to do as soon as you get in, is to head to the rides, some already have queues, it’s insane. You can do the rides above at least twice before a small queues forms. My husband had the incredible idea that we wouldn’t need a stroller on the trip so we left it at home. Less I say about that idea the better. THANKFULLLY they hire strollers for €7.50 which we did. Jeremiah freaked out and refused to get in it he has real issues with new strollers and hotel baths. As soon as Eliza sat in it however he wanted it back. 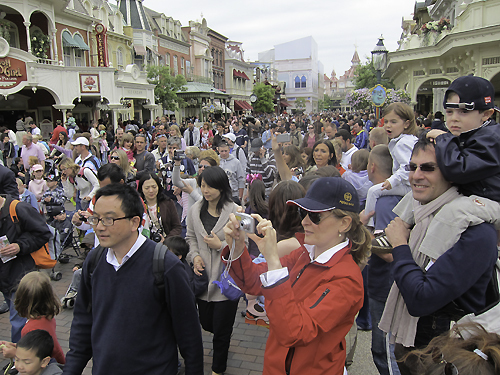 Due to the tremendous crowds you need to hold onto the kids ALL the time, getting lost would take about 1 minute. There are very few staff on site aside from vendors selling popcorn and merchandise (saving my rants on this for last post). I ended up telling Eliza if she got lost she was to go to someone selling something and tell them she was lost. 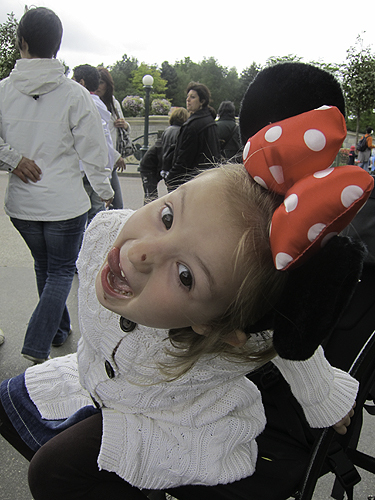 We decided on our last day to go to Walt Disney Studios the 2nd park. If you want to see people dressed up then this is the place to be in the mornings. Mary Poppins to Snow white to Wendy and Peter Pan. They had lots of characters all walking around. And the queques to see Mickey Mouse were about 10 minutes long, compared to inside Disneyland where it was up to an hour. Jerry was beside himself, he was almost hyperventilating and kept saying “my turn?” every time we stepped forward in the queue to meet Mickey, when it was his turn he strolled up a little apprehensively then leant forward and said “kiss me Mickey” Mickey did’t quite hear despite those honking wingnut ears, so Jerry asked again, Afterwards Mickey’s nose was left with what ever was in Jerry’s mouth as he currently really likes to given open mouthed kisses. NICE. He was so thrilled to meet him it was weird, he didn’t stop smiling and gave him more kisses. The characters really take time to spend with the children. We also met Buzz Lightyear but the photo’s aren’t very good! Walt Studios has a lot more for the adults we saw a really good stunt car show which was rather long at 45 minutes for the little ones. Again Jerry loved it lots of guns and explosions and fast cars. Eliza HATED every second and kept asking to leave, to go home, and at the very end screaming so my ears bled and I looked around wondering who the hell was screaming before I realised it was her, she was TERRIFIED. 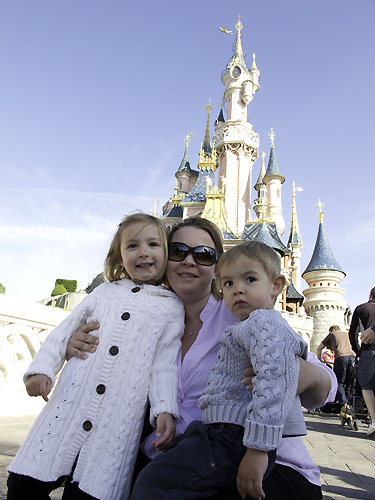 This morning both kids are asking if we can go to Disneyland today so I think they both liked it! 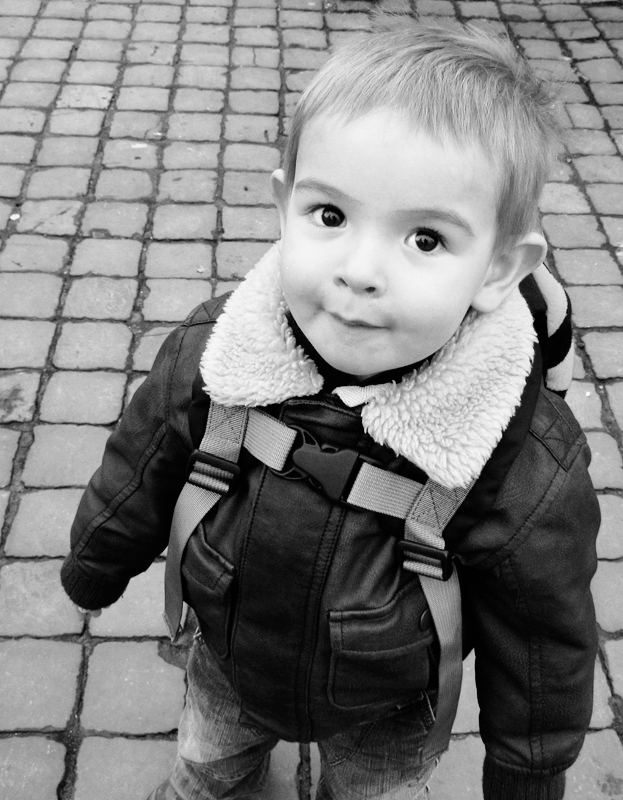 My boy turns 2 in just over a week, due to us moving and all that jazz, he probably won’t get a party. 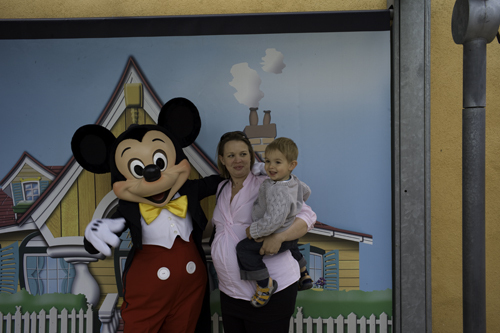 So instead we went to Disneyland Paris to Celebrate his Birthday! We drove there as normal catching the Eurotunnel at 6am. Eliza is pretty good at getting up to go away for weekends in Europe, however this time she bounced out of the bedroom and then all around the house until we left! which kinda limited what we did, she loved certain things I’ll cover in another post, but overall she did love it! Jerry thought it was the best thing since he arrived on the planet almost 2 years ago, and when he met Mickey well, lets say Mickey might need a wash. Stay tuned for what he did to Mickey! 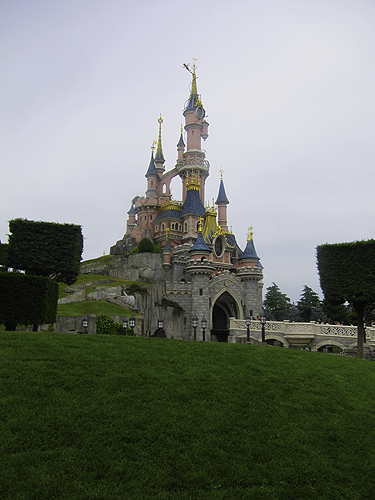 In my next few posts about Disneyland Paris I’ll mention how utterly crap the hotel was and how exceedingly expensive it is to eat and stay there. It’s all fun and games until you see the bill! 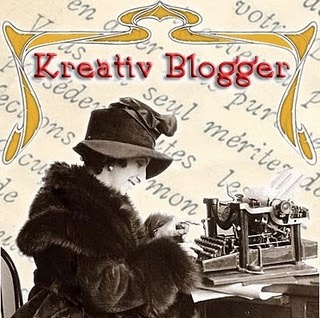 Steph my lovely friend over at imcountingufoz has given me the kreativ blogger award. I also have to share 7 photos that mean something to me. They are all from Australia, where my heart remains. 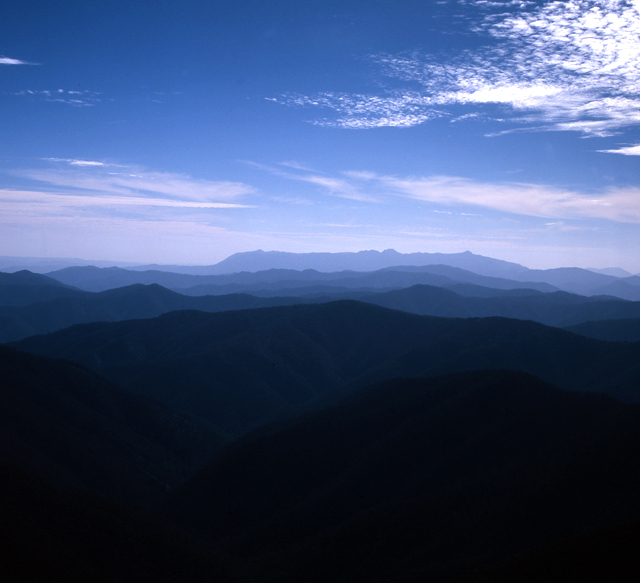 This picture was taken on our Hassleblad camera, years ago we got very, VERY seriously into photography. I quit my job to pursue a Landscape photography career. 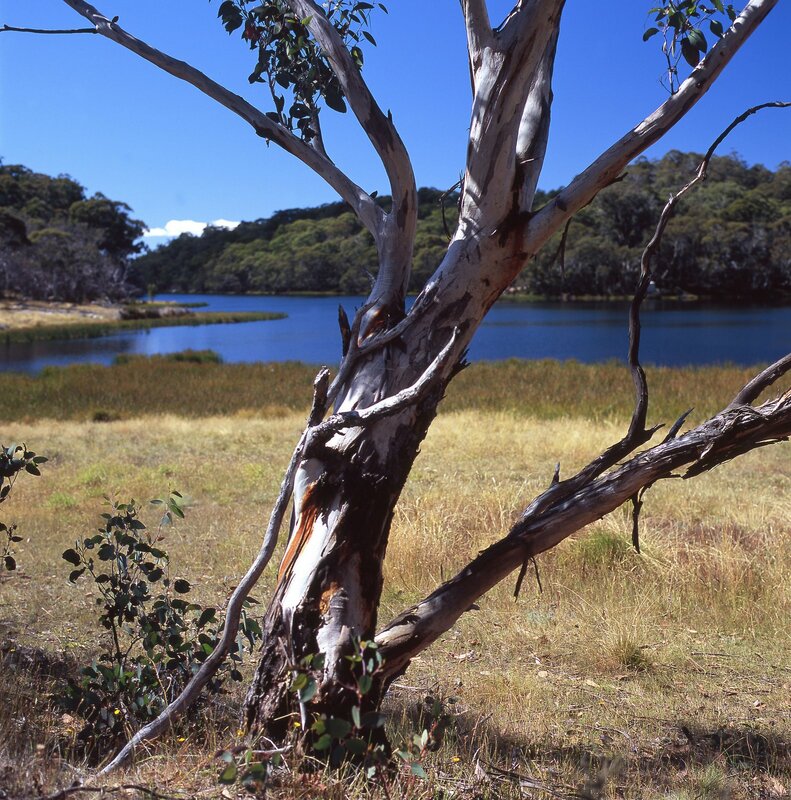 I was doing OK until I got pregnant and lazier 😀 I did get some help with this photograph from my husband, he suggested the lens, we were driving along a lake down in Victoria in Australia when I “saw” the photograph. 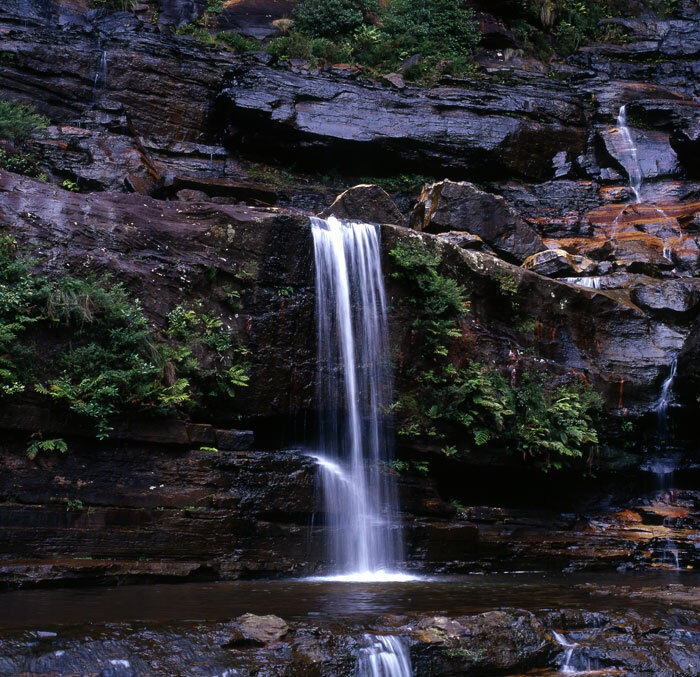 Again Hassleblad I climbed up into part of the waterfall for this shot. I also then dramatically fell over and sprained both wrists, and put my pelvis and spine out. But what a fabulous shot! In Australia we get a lot of bush fires, sadly for a lot for a lot of people and animals they loose lives and homes. A lot of the native plants need the heat to open their pods to enable the seeds to grow again. 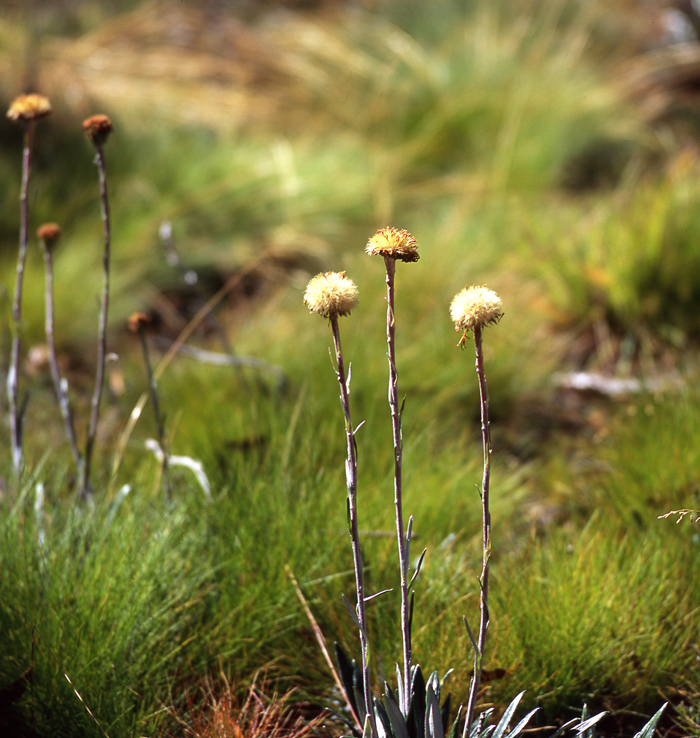 These flowers are in a massive area that was burnt a couple of years before we ever got there. I like it because it reminds me of life’s ups and downs. 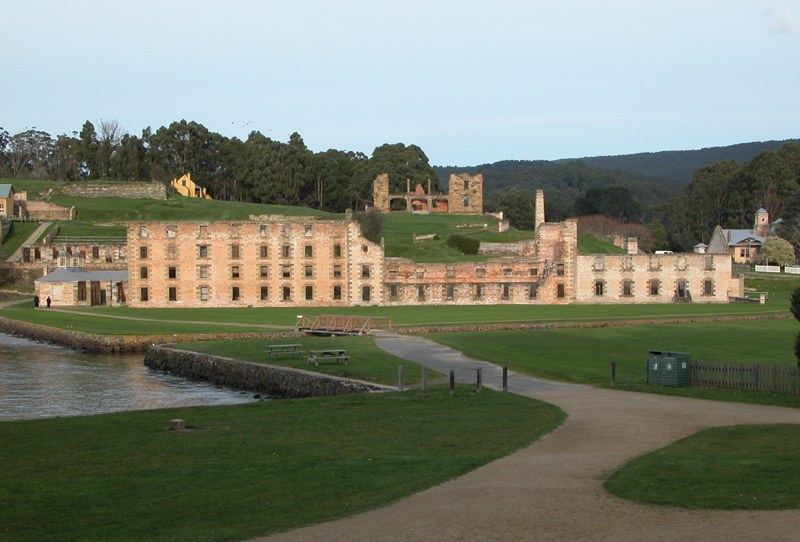 In Tasmania there is a place called Port Arthur, I am sure if you are my age or older then you would probably of heard of this place. It’s fascinating and Erie and just sad. And it seemed long after it was stopped being used for what it had been built for more tragedy struck. We did a ghost tour it was SO SCARY! 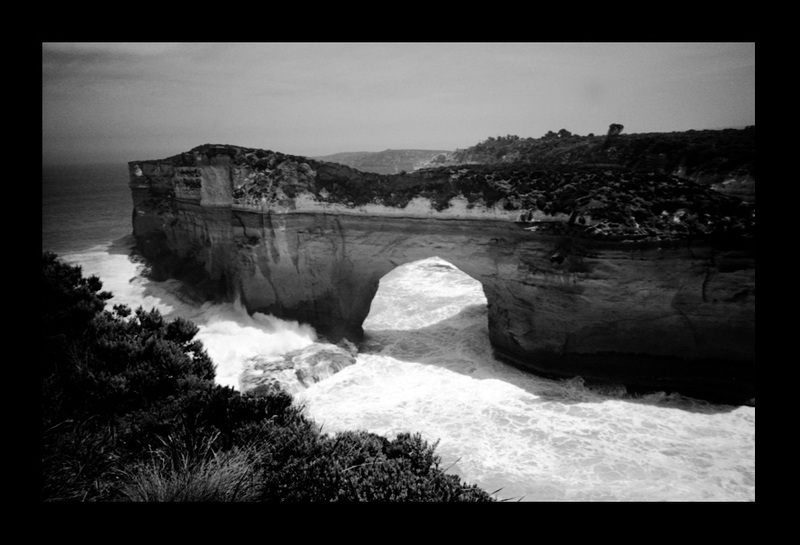 Bit dark and moody, this is The Great Ocean Road we drove it in 1999 I think I forget I was very slim I know that LOL I made it all dark and moody as the water was SO violent and deafeningly noisy. 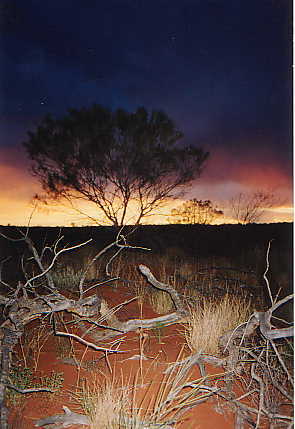 This is a VERY old picture taken on some crappy camera I had when I first went to Australia on holiday in 1997, after taking a picture like that I was thinking how beautiful can a place be! This was taken at Uluru. This is Mt.Buffalo Hubby and I took our first holiday as a couple in Victoria, and year after year we returned not because we’re sappy, because it really is a stunning part of Australia. Hope you enjoyed that, I know I did reliving my little breaks! 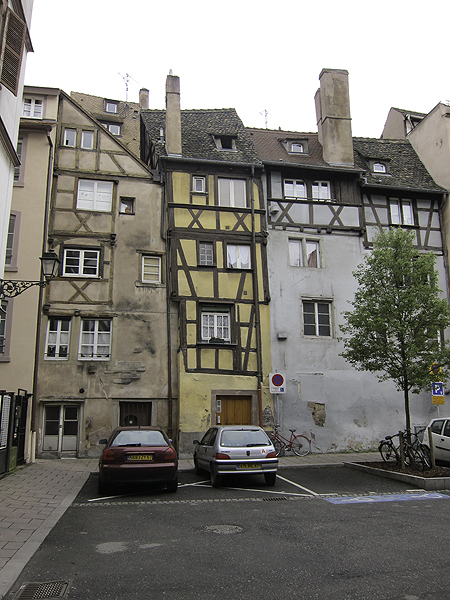 We went to Strasbourg the other weekend, before we left as usual I looked what was to see and do in the area. Strasbourg is close to the German border and I read that Baden-Baden was a good little side trip, obviously the people suggesting this are people with no kids and have probably flown to Strasbourg. 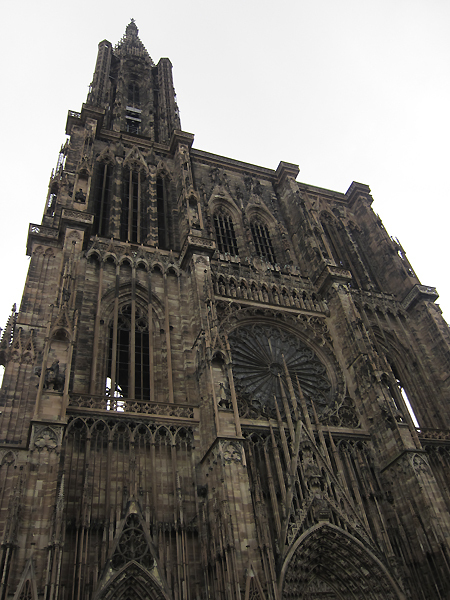 it’s about 45-60 mins from Strasbourg, so not far added a total of 3 and a bit hours to a trip. 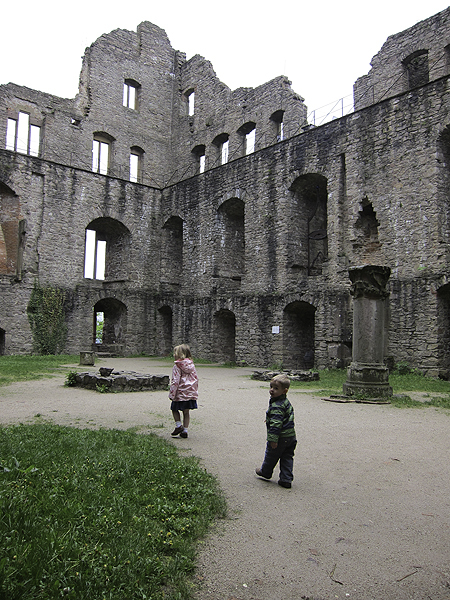 I read that the Altes Scholoss was the place to visit or the casino having money left over as all the shops were closed it was tempting to go, but we thought it more educational to look at a ruined castle. It’s a bit of a steep climb into the ruined castle but if you’re fighting fit like us it’s a breeze :p it’s also free to visit. 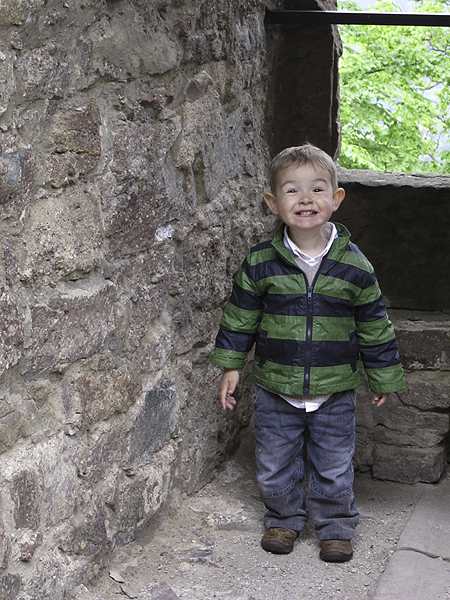 My husband climbed right to the top of the castle, which is fine if you have older children, if you have 1 feral nearly two year old it’s a scary place that is filled with certain death. So we decided to stay on safe ground and explore. Jerry was happy with this idea. 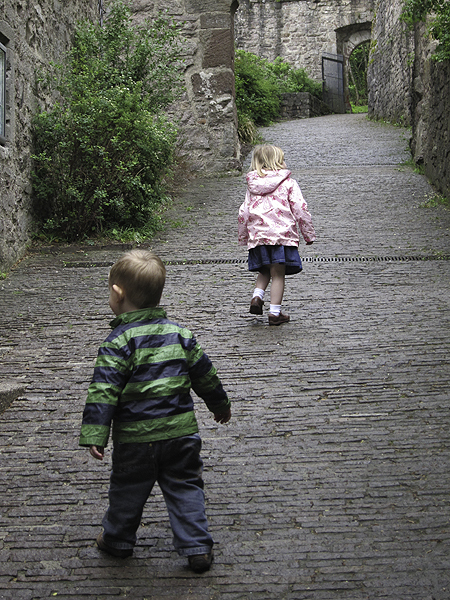 I’m happy to let her take the lead and realise I am the one who is always right around here. Few things we noticed, everyone speaks English and when you speak German like a 10 month old child they are even more willing to speak English to you. They remind me of Italians and Spanish where they seem to want to know and learn more English words, When in France I get a real impression I must speak French and perfectly and I speak like a 15 month old child in France a VAST improvement on my German. 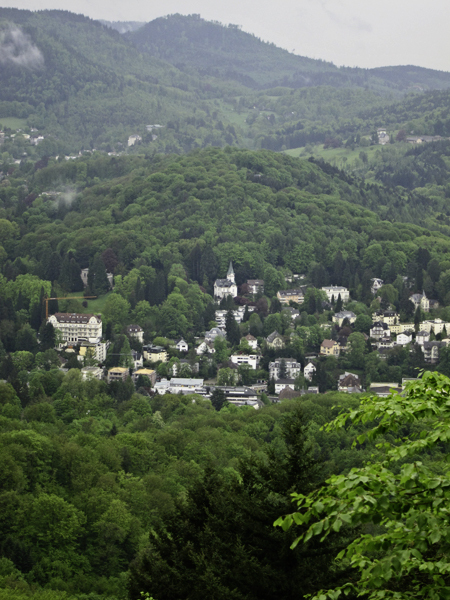 We’d really like to go back to Baden-Baden one day as it’s so beautiful there! One of the best things about living in the UK and where we do is that we are close to the Eurotunnel. Everyone knows about the Eurostar, but it would appear from many people I talk to, not everyone knows about the tunnel. Or as it’s known in our house if you are under the age is 33 is the car train. It takes 35 mins to cross the tunnel about 20 mins waiting to get on and no time at all once you arrive. You drive straight off and onto the freeway in Calais. We tend to always get an early train so we leave home around 5am. Means us grown ups are up at 4am and we get the kids up at 5, which they are fine about Eliza who is normally a bear with a sore head in the morning is often to excited to be grumpy. 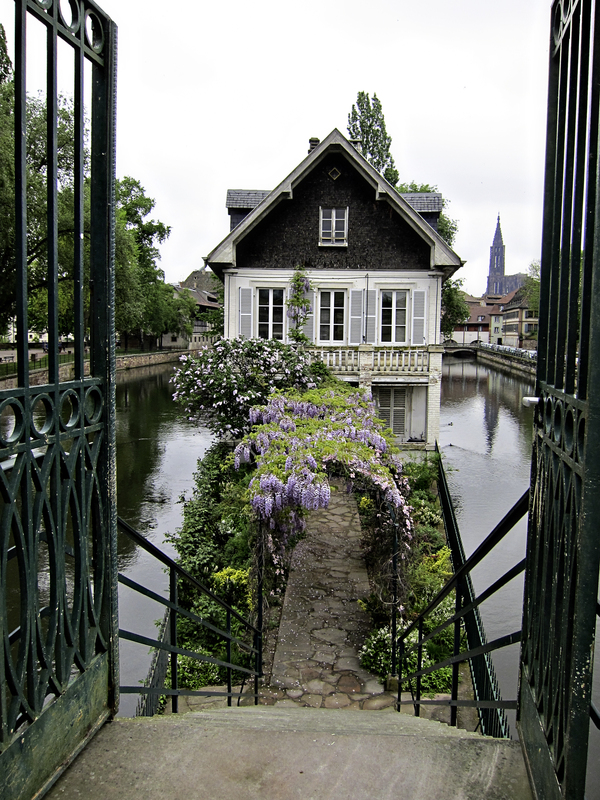 We got to Strasbourg around 3pm as we took a lot of breaks and had a walk around one of the fabulous rest stops they have in France. I really don’t like splashing out on expensive hotels and Strasbourg being the seat of the European Parliament doesn’t exactly make it a cheap town to visit. The Hotel was fine and very quaint and we stayed high up in the what was I assume the loft area, the building still has a German Shell stuck in the side of it. 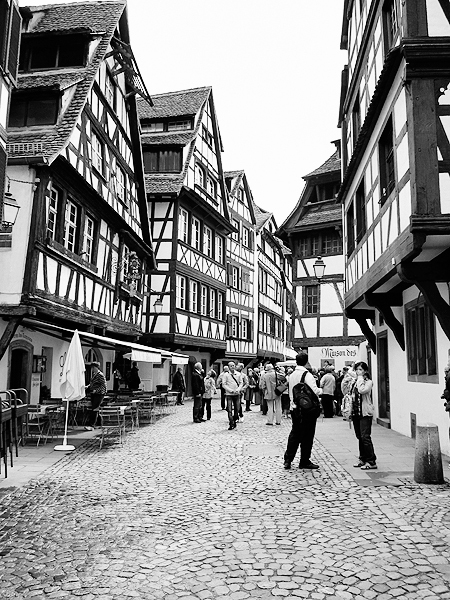 Strasbourg was Carpet bombed in the 2nd world war and practically obliterated, there are very few remaining original buildings, but you can find out easily which ones they are by asking the hotel staff or searching the internet. The Cathedral bells ring out from 6am until around 8pm I forget what time they stop but they are not deafeningly loud or annoying rather beautiful and glorious sounding. I’ll try and post a video of them on my Suburban Mummy facebook page for you to listen to. Inside the cathedral is a gloriously high ceiling and the famous astronomical clock. And an amazing sculpture of Christ which needs a dam good clean. It really is a very pretty place and it’s huge, we stayed and only visited the old part. 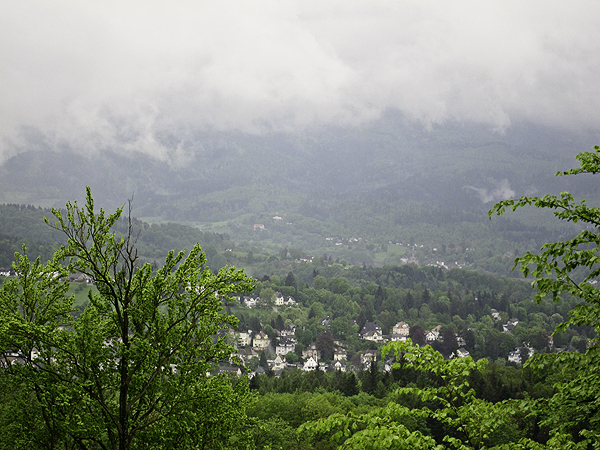 It was cold and wet and we discovered May day meant Saturday and Sunday everything was closed except souvenir shops, restaurants and MacDonalds where we HAD to go to actually get some food. There is barely any takeaway places. And Jerry being utterly impossible meant we didn’t eat very much and when we did it was really bad for us 😦 Lots of fruit however. It’s a beautiful place and I hope we go back one day when the shops are open and my kids have all their teeth. So my Birthday is tomorrow so we decided to go away for the weekend. Hubby wanted to take me Paris, I declined He wanted to take me to Spain, I declined. I said lets go to Brugge, but we went there not long ago proclaimed the man. 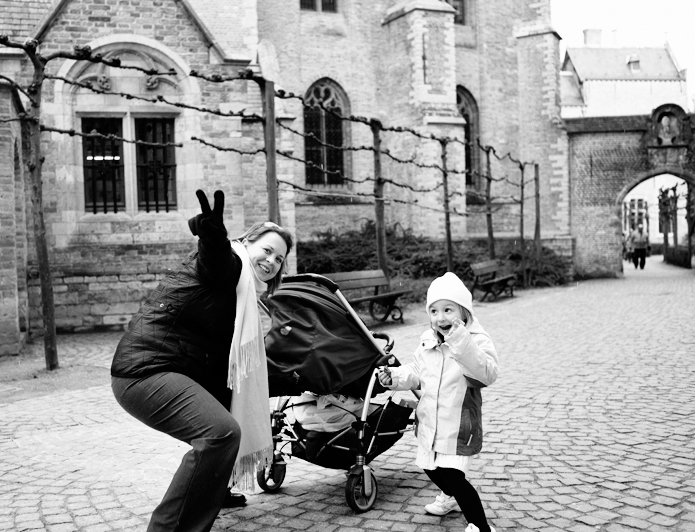 So we went to Brugge not that I like to get my own way or anything. It really looks like it was a total ball doesn’t it. I won’t mention the crying, and moaning about legs hurting, or how bitterly cold it was, or how the eurotunnel broke down before we had thankfully left Calais. And I won’t mention I gave the Balloon man €10 for making my kids balloon animals. I will mention that if you get the chance to go to Brugge do it, it’s great it has great clothing shops which are priced higher than London but we don’t have them in London. 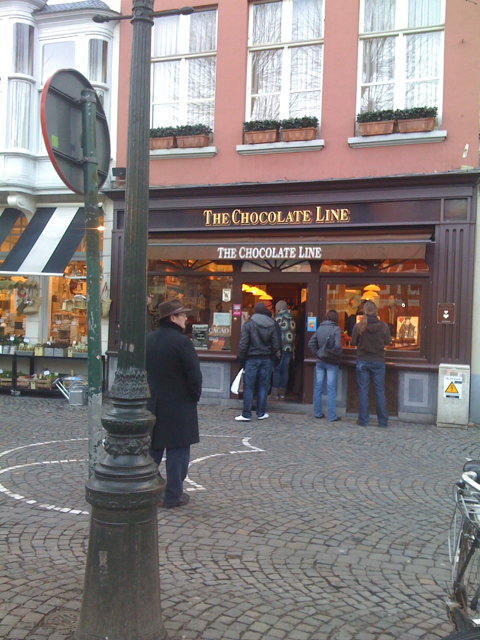 They have the BEST chocolate in the universe and the architecture is amazing. Last weekend we went to Belgium. We caught the Eurotunnel from Folkstone and arrived in Calais VERY early it was only just becoming light. We were both a little tired, as we had been awake since 2.30am. You see Miss 3.5 joined us in bed and then woke us both up and we couldn’t sleep. Anyay we flew down the freeway as best we could due to dense fog and arrived an hour after we got of the Eurotunnel. Isn’t that amazing? I think so. 3 hours before we had been in the UK and in 2 hours we had been in 3 countries lol I digress. We ate at a very nice seafood restaurant which when you have got a nearly 16 month old child who hates sitting down, who hates crowds, who hates pretty much anything you want him to do makes for a very long lunch and a lot of dirty looks. Unal drank his last beer on his own I think that says it all. The people are fabulous just don’t let your kids out of your sight, no seriously. Seriously they are lovely people they all speak English better than any other foreign country I have been to, they are not offended when you don’t speak their native tongue immediately. Very welcoming. I highly recommend visiting it’s small so the weekend was kind of enough really, but If you are staying in Brussels I would say it’s a place you don’t want to miss out on!